I would like to say thank you to all those who prayed and wished my Dad well yesterday. It seems the power of prayer came through yesterday and my Dad, despite the weekend’s set backs, has been released from hospital this afternoon and is back home. The same Doctor that treated him yesterday, examined him this morning and saw fit to release him today. I have spoken with Dad this evening and he seems so happy to be at home, he seems so much more lively than when I saw him Thursday and hopefully I will see him again tomorrow evening. So once again thank you all and thank God for His amazing power of healing. This entry was posted in Faith and tagged Collective Soul, Dad, Faith, Family, God, Grace, Healing, Hope, Hymn For My Father, Inspiration, Jesus, Prayers, Thank You on February 29, 2016 by waynemali. Sometimes I feel like my light is going out, but the Lord is constantly reminding me that it’s still there, just as bright and I should just let it shine. 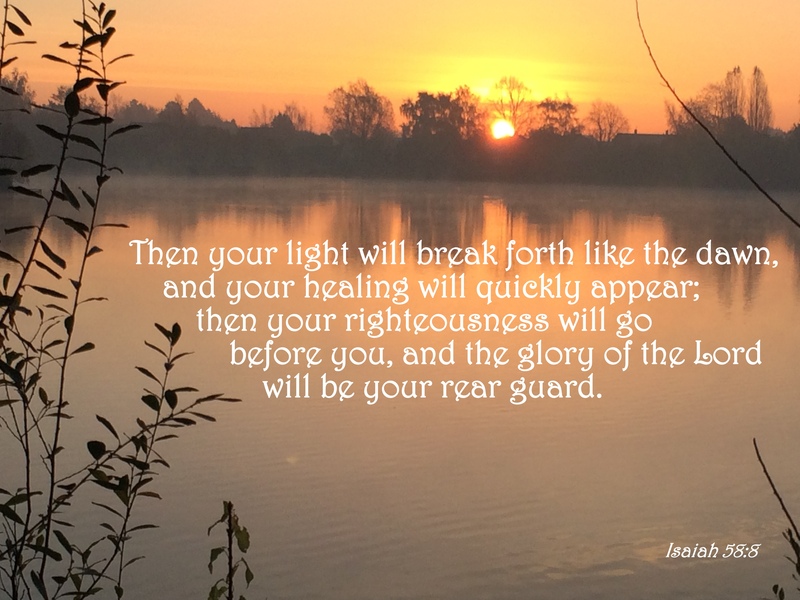 This entry was posted in Faith, Verse of the Day and tagged Bible Verse, Collective Soul, Faith, Freedom, God, Hope, Inspiration, Isaiah 58:8, Jesus, Light, Shine on November 7, 2014 by waynemali. 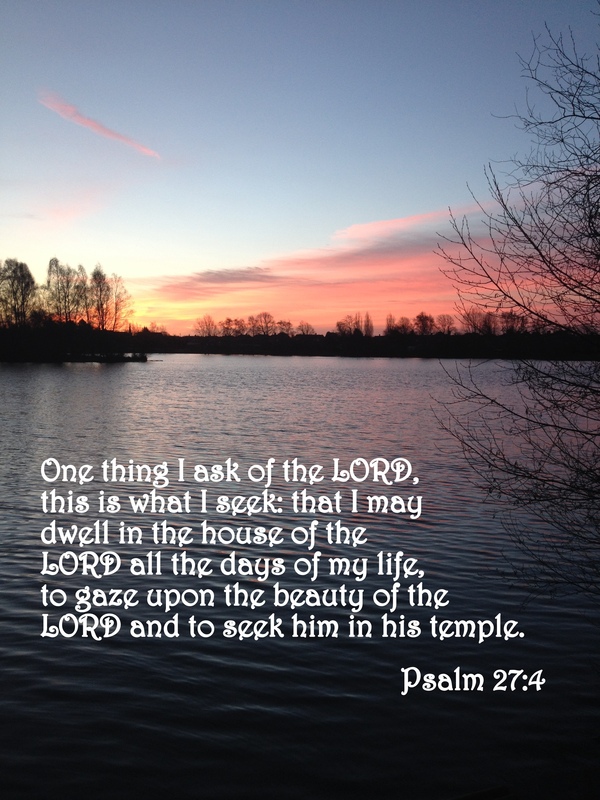 This entry was posted in Faith, Verse of the Day and tagged Bible Verse, Christ, Collective Soul, Faith, God, Hymn For My Father, Inspiration, Jesus, Pray, Prayer, Psalm 27:4 on February 6, 2014 by waynemali. I’m not sure how I’ve made but I have, 400 SoberDays and I’m still counting, even after this afternoon!!!!! The two karate classes this afternoon were slightly on the insane side, Steve, my help on Friday’s was away so I was in my own, firstly with 20 odd four to six years olds, oh my, two brothers were not even the slightest bit interested in doing anything but cause trouble, eventually their Mother pulled them out and took them home, I kept smiling and the witty banter going, only 45 minutes, although probably the longest of my life!!!! Then the second class another twenty kids, this time a bit older, seven to thirteen, a little tamer and not so stressful, thankfully! The things I do for the love of karate! Oh well, when I left the sports centre a little flustered, I stuck my earphones in and the following two songs played to bring my level of sanity close to somewhere approaching normal! This entry was posted in Faith, Karate, Sobriety and tagged Alcoholic, Alcoholism, Awakening, Celebration, Chris Tomlin, Christ, Collective Soul, Faith, Freedom, God, Hymn For My Father, Inspiration, Jesus, Karate, Rebuilding, Recovery, Sober, Sobriety, Stress, Thank You God For Saving Me on May 3, 2013 by waynemali.